As a long time resident of South Florida, Yvonne Brown, along with her husband Charlie Brown has performed extensively throughout the United States, Canada and the Caribbean Islands. Born in Atlanta. GA and raised in Montclair, NJ. 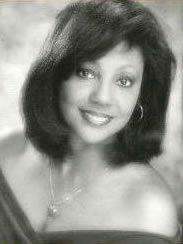 Mrs. Brown, a versatile song stylist sings both popular, contemporary music and jazz. Whatever the room calls for. just put a smile on their face. That’s my motto. I just love to sing. However, jazz will always have a very special place in my heart because it raises me to a level of individuality. When I sing that song, that song belongs to me. After graduating from Miami University of Fine Arts and Design in 1985, she and her husband decided to make South Florida their home.